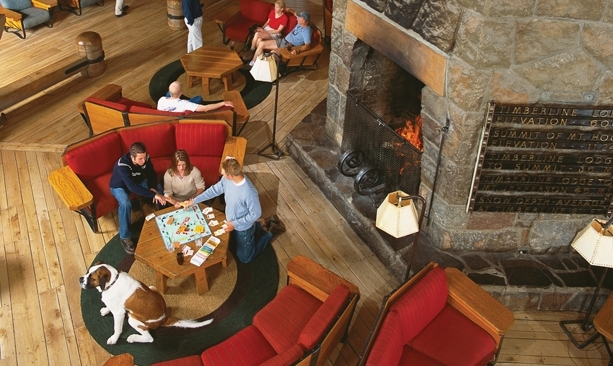 Off the slopes at Timberline Lodge, enjoy hot chocolate by the fire and say hello to resident St. Bernards Bruno and Heidi. Winter snow sports bring the whole family together. That’s why Oregon’s ski resorts have special offers and activities this time of year. Check out these family deals and start your wintertime fun. Timberline Lodge and Ski Area offers the Timberline Parenthood Pass for families with little ones not yet on skis. The deal includes a season pass transferrable between two parents a well as additional discounts for the rest of the family. Off the slopes, enjoy hot chocolate by the fire. Stop and say hello to Bruno and Heidi, the resident St. Bernards, who can be found at the front desk daily. Family-friendly Anthony Lakes Mountain Resort always has something fun going on whether it’s the handle tow, the wonder carpet, the sledding hill or beginner Nordic and alpine terrain. 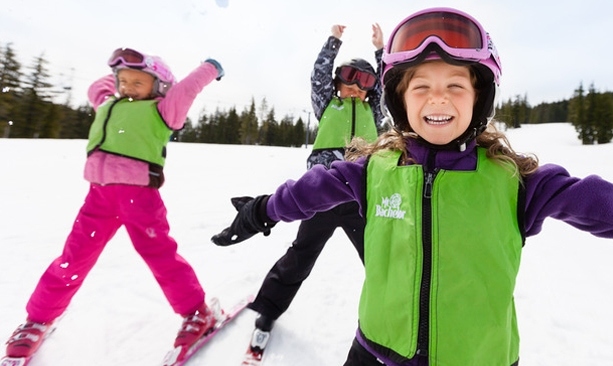 This year they are offering a 3-day Kids Camp during spring break, which includes lift, lessons and rentals for just $40. Mt. Bachelor Ski Area makes it easy for skiing families to come stay with its “Kids Ski Free” package. The deal applies to families who stay at least three days and nights with kids under the age of 12. Don’t miss Bachelor’s Snowblast Tubing Park, an 800-foot course of rollers and speed bumps. Willamette Pass Resort pulls out the 5-Day Super Pass for adults, juniors and youth so everyone in the family can enjoy discounted lift tickets (five days for less than the price of four). And don’t miss a thrill of a ride at the resort’s tubing slope.